It is hard to believe that it is already time to start thinking about summer camp 2014! We are extremely excited for the 2014 summer camp programs and can't wait to help you begin the planning process. This summer we are preparing a variety of new programs while continuing to build on our lasting traditions. 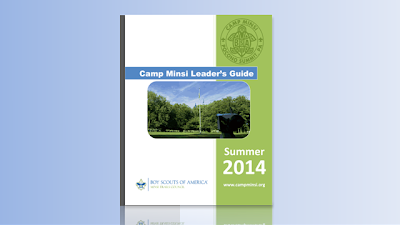 The 2014 Camp Minsi Leaders Guide is the first resource to answering your summer camp questions. This guide is full of essential information and forms for unit leaders. 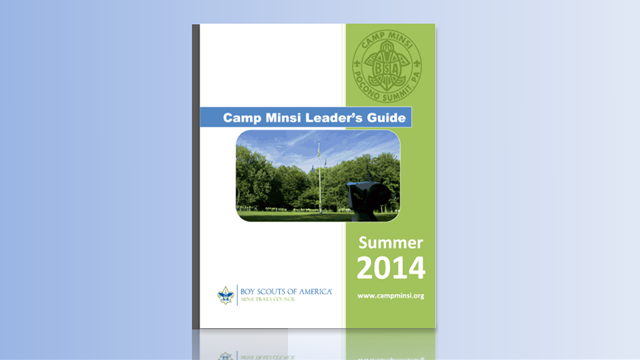 The 2014 Camp Minsi Summer Camp Program Guide will be available on our website by the end of February 2014. This guide will include: merit badge information, program schedules, and details on other activities happening during your week of summer camp. On behalf of the entire 2014 Camp Minsi staff, we'd like to thank you for choosing Camp Minsi; and we look forward to sharing a memorable summer with you and your entire unit.